Ahead of Election 2019, the Chief of the Air Staff (CAS), Air Marshal Sadique Abubakar, on Friday, January 1, met with Air Officers Commanding (AOCs) and Commanders of Nigerian Air Force (NAF) units across the country to brief them on their responsibilities during the elections. Speaking during the meeting, which held at NAF headquarters, the CAS stated that the primary responsibility for ensuring security during the elections lay with the Nigeria police, which was the lead agency, along with the Nigeria Security and Civil Defence Corp, Nigerian Immigration Service and other civil security agencies, constitutionally tasked with ensuring peaceful conduct of the general elections. He said what was required of the NAF was to ensure that commands and inits prepare contingency plans that could be activated in the event of any overt breakdown of law and order. 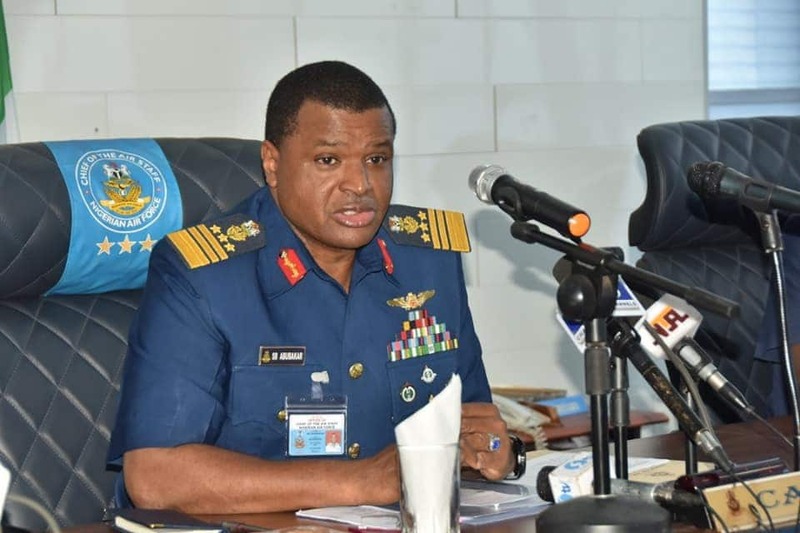 Air Marshal Abubakar stated that it was critical that all NAF personnel operate within the ambit of the Nigerian constitution as well as in accordance with the code of conduct promulgated by Defence Headquarters for members of the armed forces during elections. He stressed that personnel must remain apolitical and sternly resist any entreaties by unscrupulous politicians to get them involved in partisan politics. He implored the AOCs and commanders to remain focused on the discharge of their constitutionally assigned tasks, whilst ensuring that their personnel abide by the instructions contained in the code of conduct. He also emphasized that personnel were free to exercise their constitutional rights to vote for the candidates of their choice on the various election days. Furthermore, Air Marshal Abubakar disclosed that the NAF was ready to avail the Independent National Electoral Commission (INEC) its transport aircraft to enable the expeditious movement of electoral materials, as done in the past, should INEC require such support. The highlight of the event was the presentation of booklets on ‘Code of Conduct for the Armed Forces of Nigeria during Elections’ to AOCs and commanders, represented by the Air Officer Commanding Tactical Air Command, Air Vice Marshal John Baba. Legit.ng gathered that the code of conduct highlights the importance of elections and specifies the responsibilities of commanders and all military personnel while stipulating the responsibilities of personnel assigned for special electoral duties. Meanwhile, the INEC chairman has vowed to solely man the result collation centre during the election, stressing that he will not share his constitutional responsibility as the chairman of the collation secretariat with anybody. He, however, raised the alarm over what he described as the increasing violence tendencies by youths who could be used by politicians to carry out nefarious activities, warning that the elections might be disrupted if the security agencies refuse or fail to carry out their jobs, in line with INEC’s specifications.